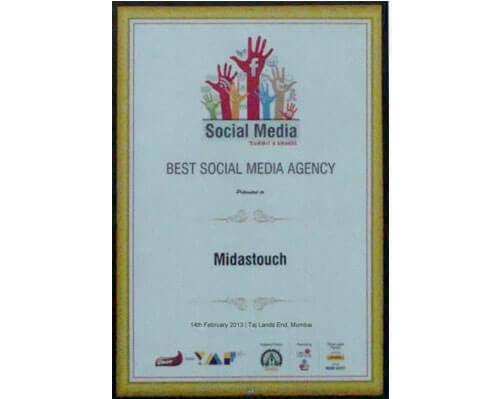 Midas Touch is proud to be the winner of “Best Social Media Agency – 2013” award given by Global Youth Marketing Forum. 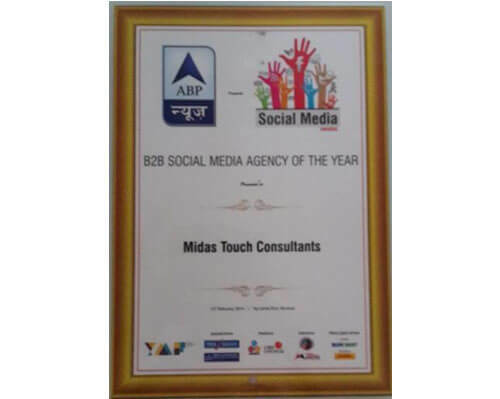 Midas Touch is proud to be the winner of “B2B Social Media Agency Of The Year – 2014” award given by Global Youth Marketing Forum. 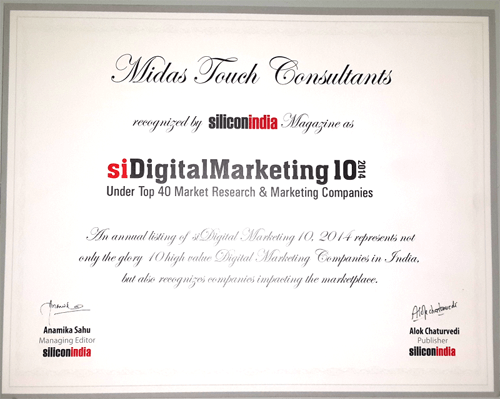 We have been recognized among the “Top 10 Digital Marketing Companies” in India by Silicon India magazine. The agency profile they have included in the magazine is here. Admittedly the list is an assorted “grab-bag” of sorts includes companies covering a range of focus areas – everything from web-site and mobile app development to technology that enables digital marketing and advertising. 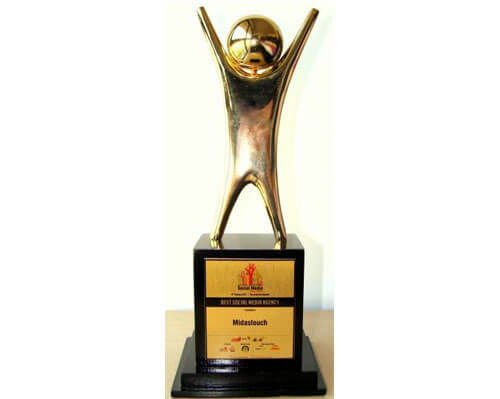 That being said – we are Happy! 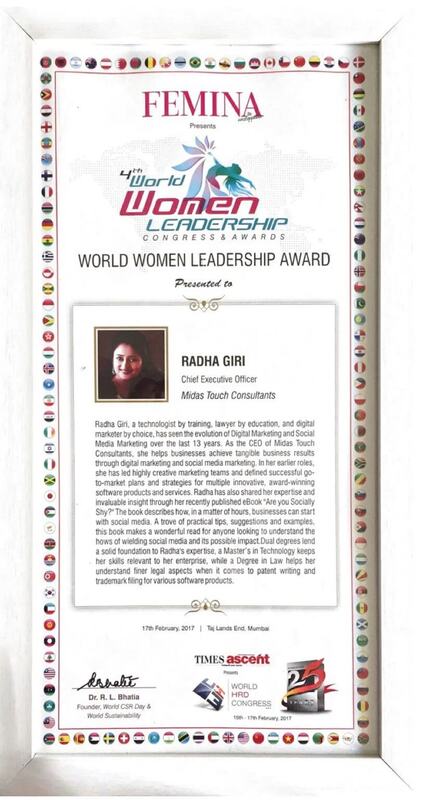 Midas Touch CEO, Radha Giri, wins the “WOMEN LEADERSHIP ACHIEVEMENT AWARD” at the WWLC 2017. 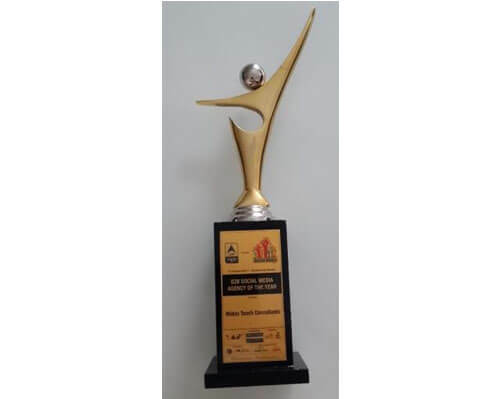 The Award is conferred to the “Outstanding Women Professionals who have the vision, flair, acumen and professionalism to demonstrate their excellent leadership and management skills in an organization / Institutions or towards society at large, thus making changes and achieving results.